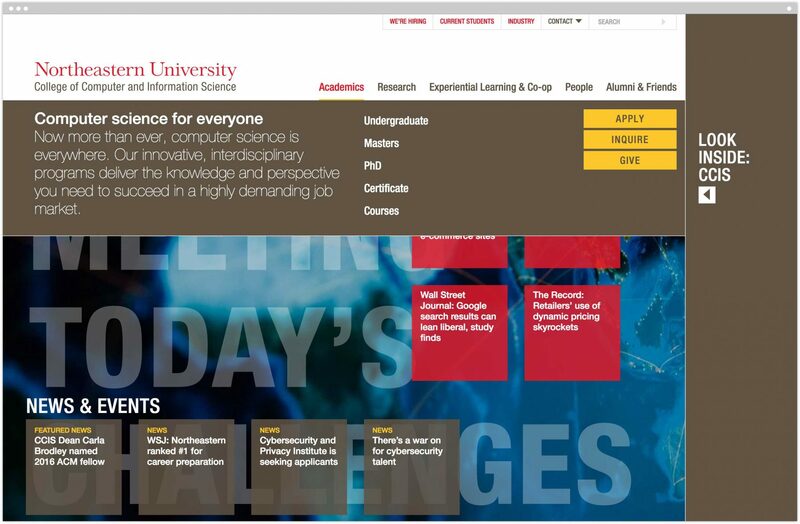 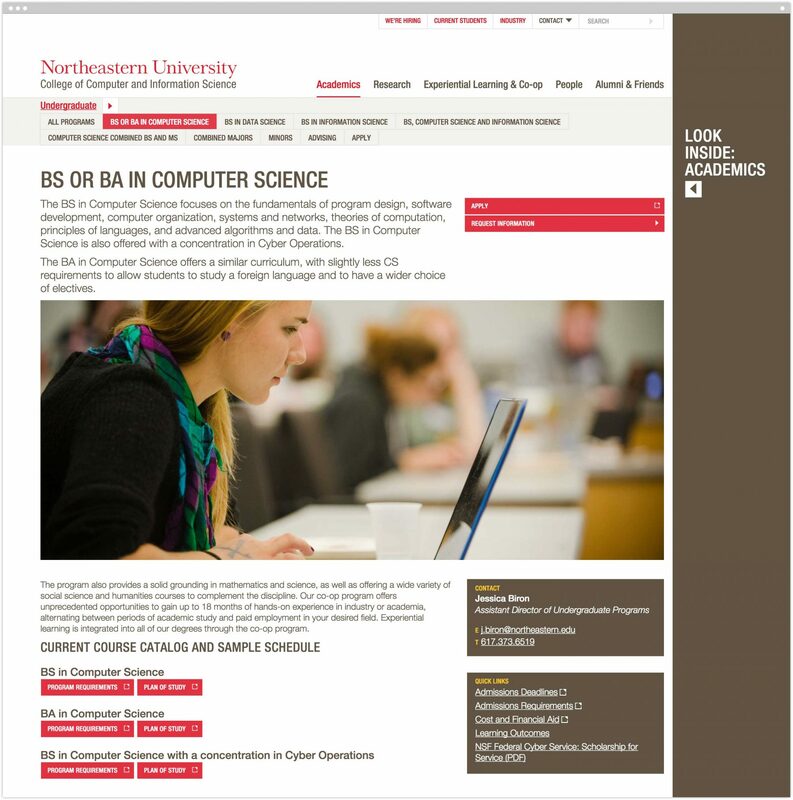 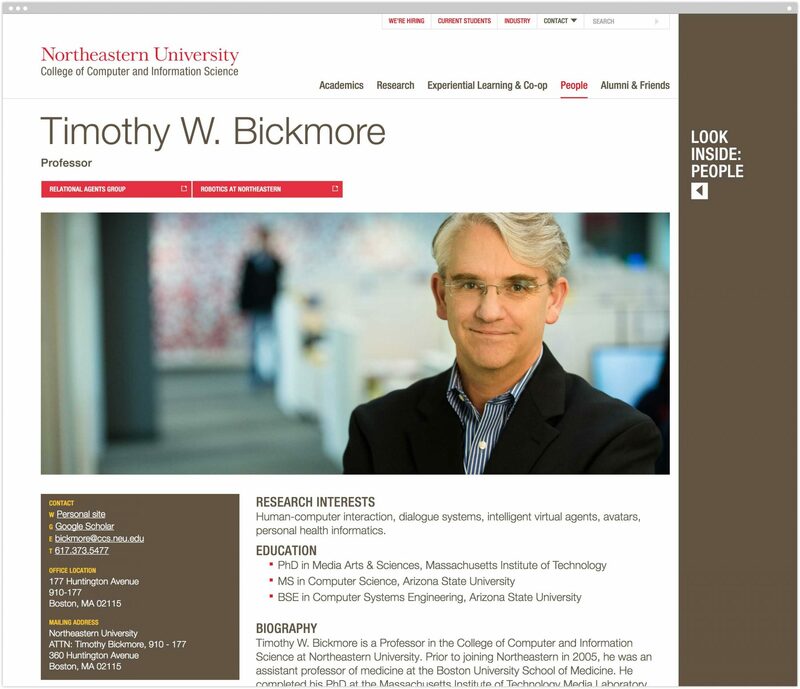 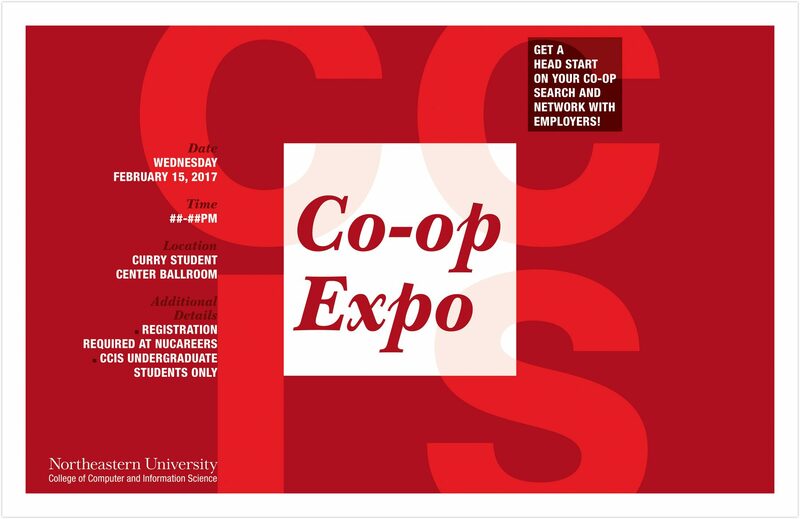 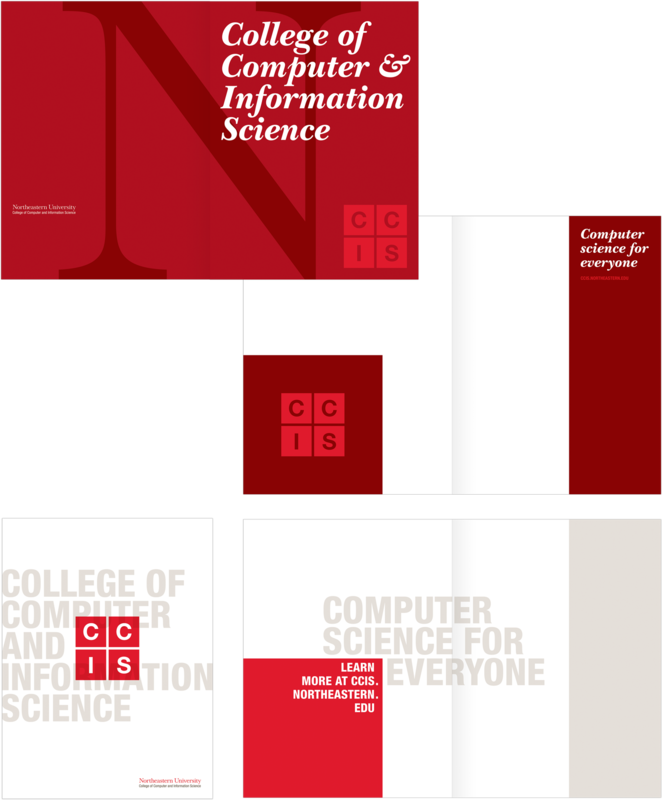 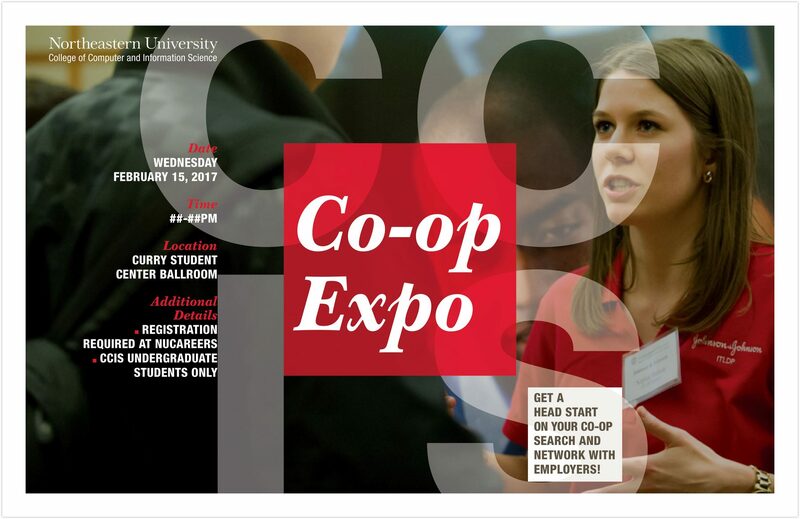 Through its unique approach to experiential, interdisciplinary education—and with its ambitious students and world-class faculty—Northeastern University’s College of Computer & Information Science (CCIS) represents the best in what computer science (CS) education can be. 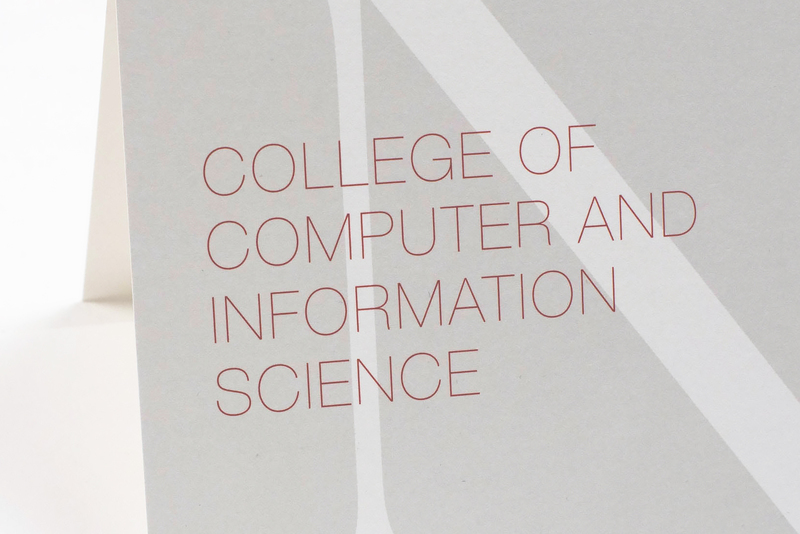 However, the College, launched in 1982, was not getting credit for its impressive activities and endeavors because its face to the world largely obscured the College’s progress. 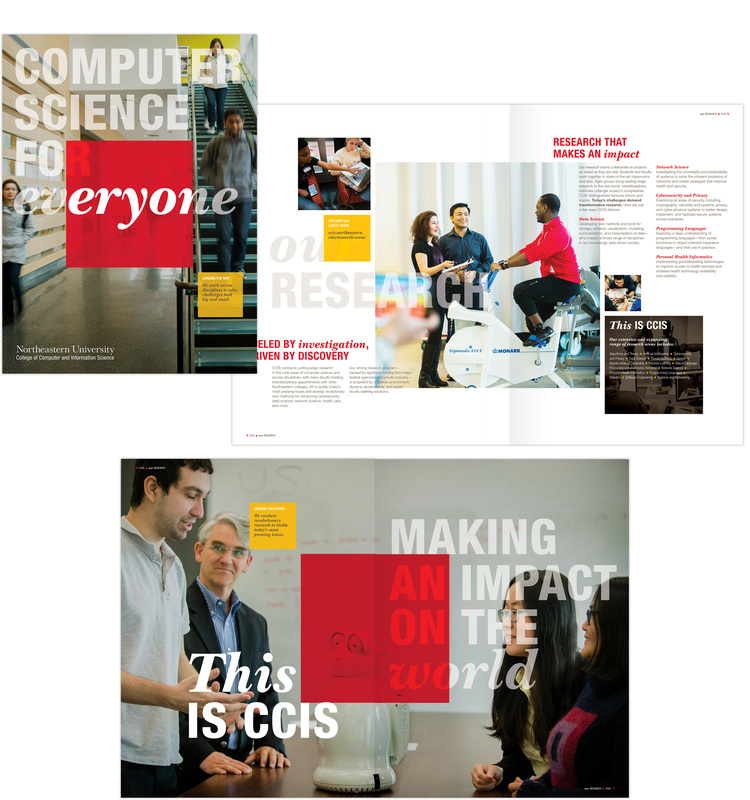 Change the narrative of computer science—it’s a diverse population, and it’s for everyone! 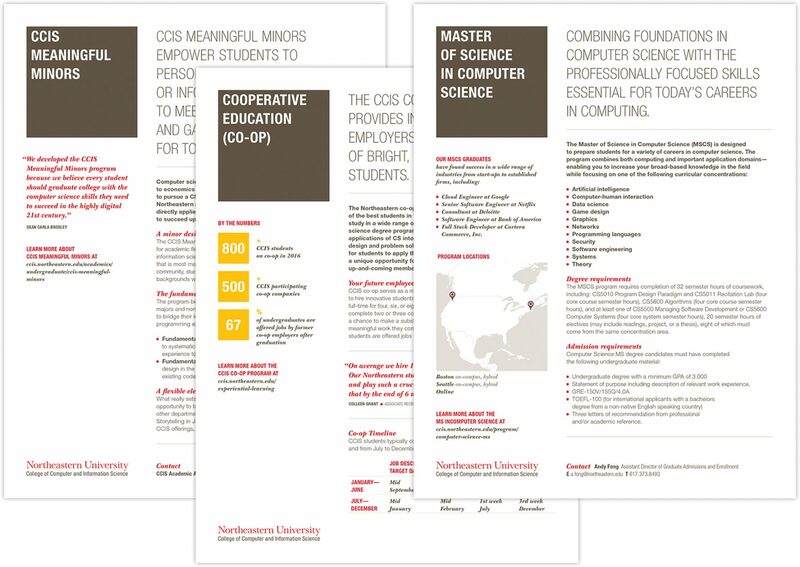 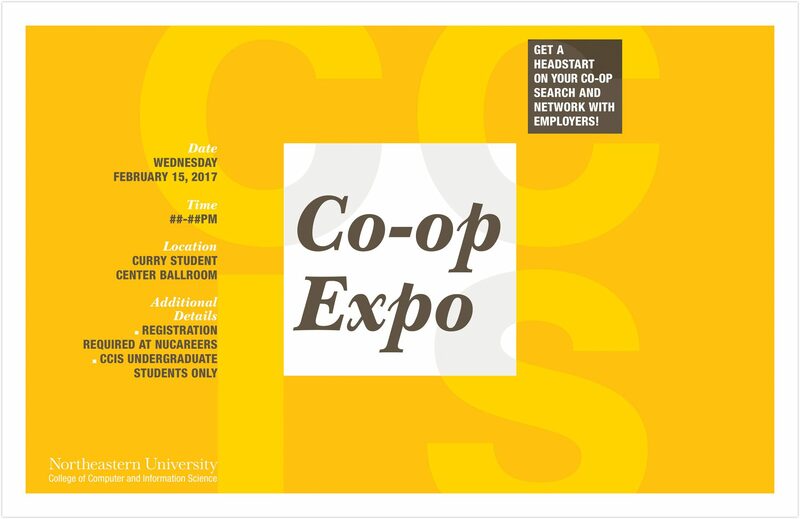 Leverage Boston as an entrepreneurial, health-care, academic, cultural, and finance hub—the perfect backdrop to a progressive CS education. 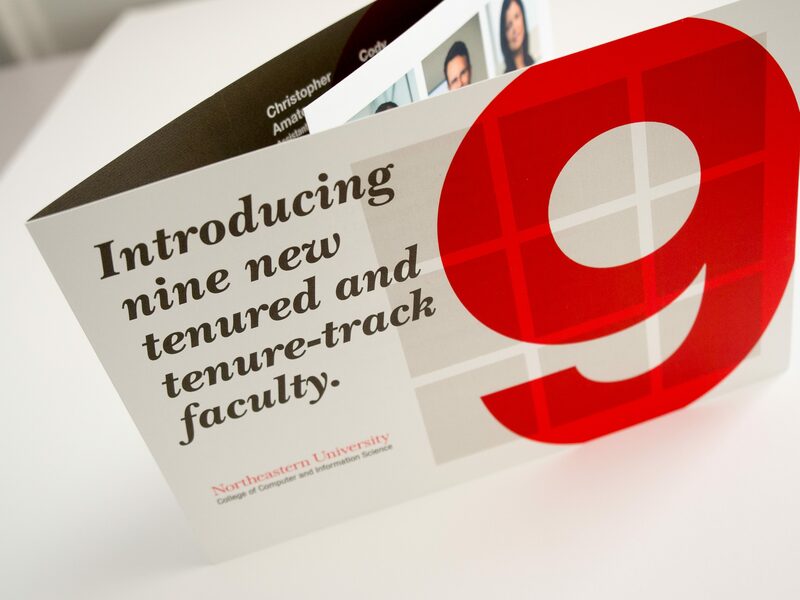 We achieved these goals via a collaborative process that focused not only on gathering insights and setting priorities, but also on building consensus, enthusiasm, and buy-in as we worked our way across various sets of stakeholders (students, alumni, administrators, leadership, faculty and more). 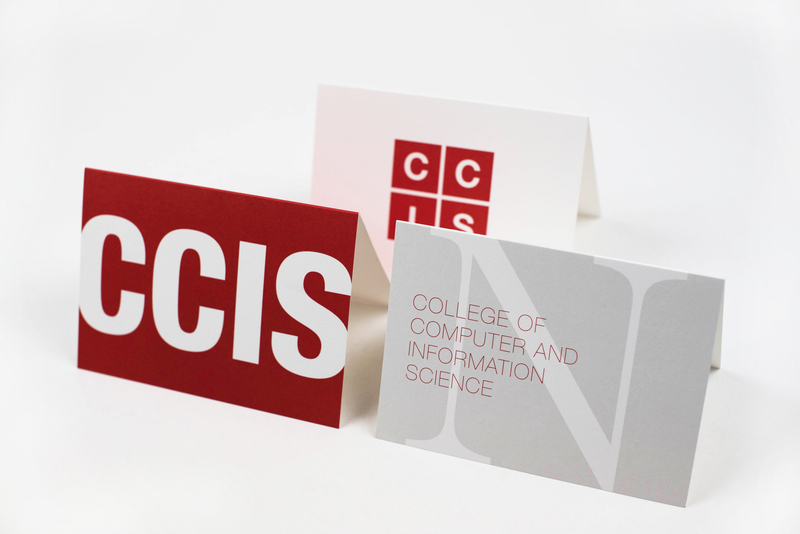 The information from our discovery phase informed a comprehensive re-imagining of the CCIS brand, beginning with a website architected, designed, and developed from the ground up. 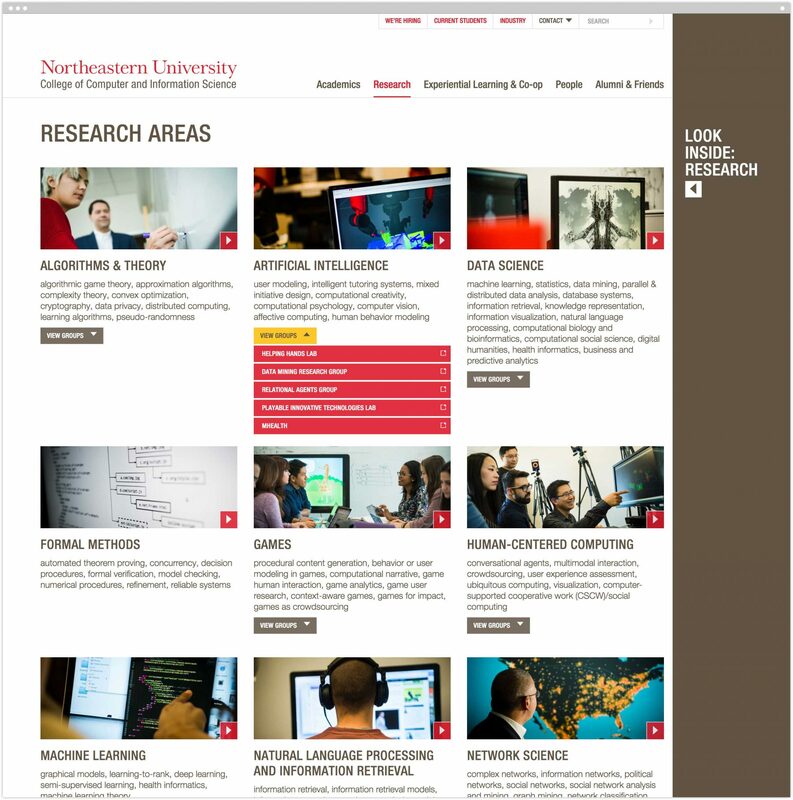 A unique yet intuitive user experience builds narrative and facilitates transactional tasks. 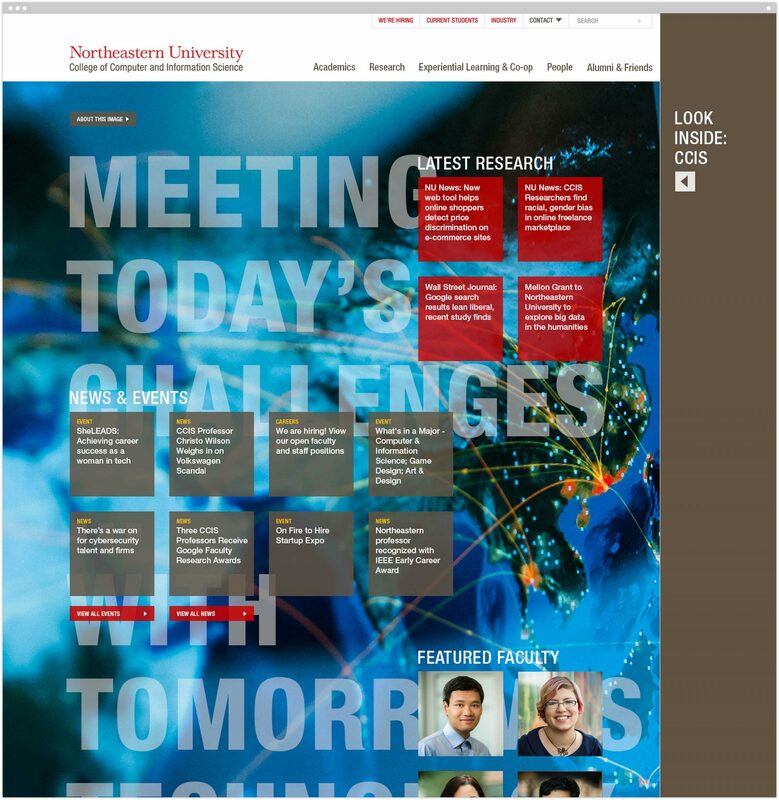 Contemporary design projects a bold personality and connects directly to the powerful Northeastern brand. 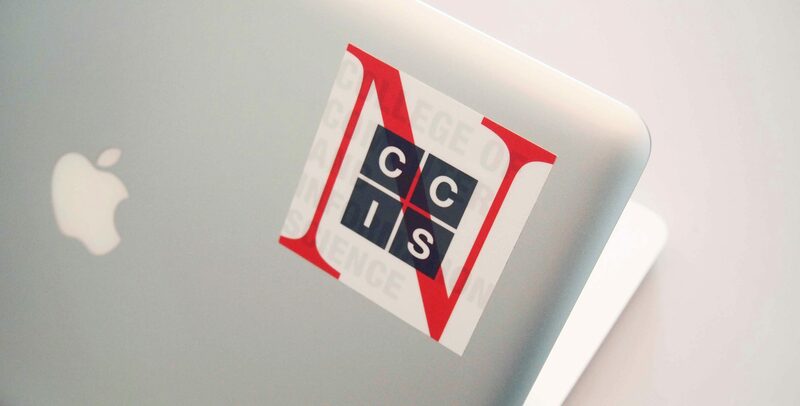 Newly commissioned photography artfully shot by Liz Linder brings the college—its people and their work—to life. 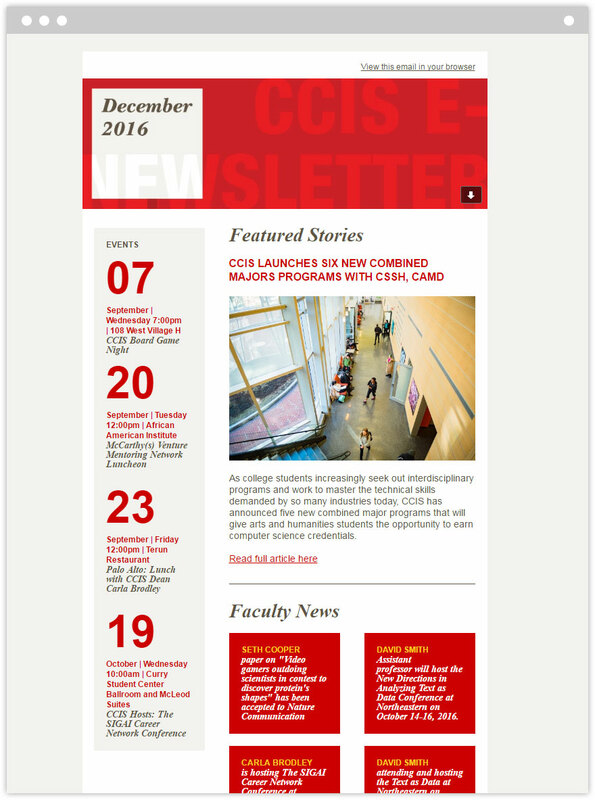 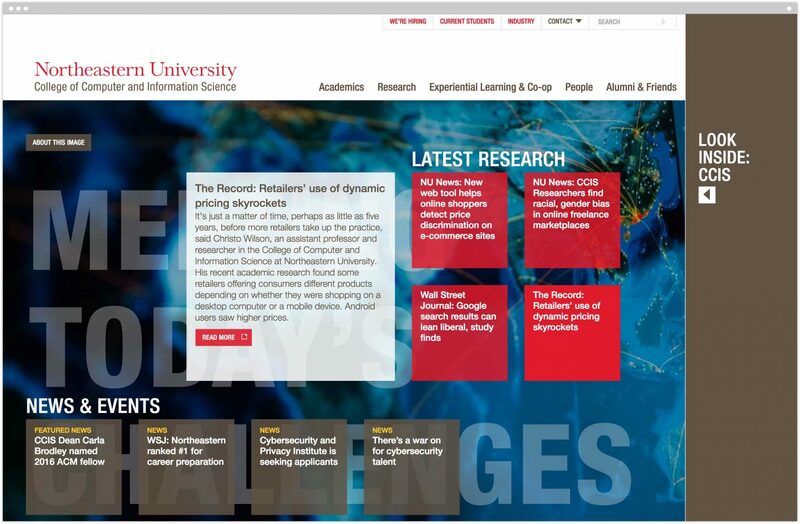 The new homepage showcases the breadth and depth of activity across the college; key facts and figures highlighting CCIS’ growth and impact are easily accessible across all sections of the site; research areas are greatly expanded to included access to related faculty, research projects, publications and more. 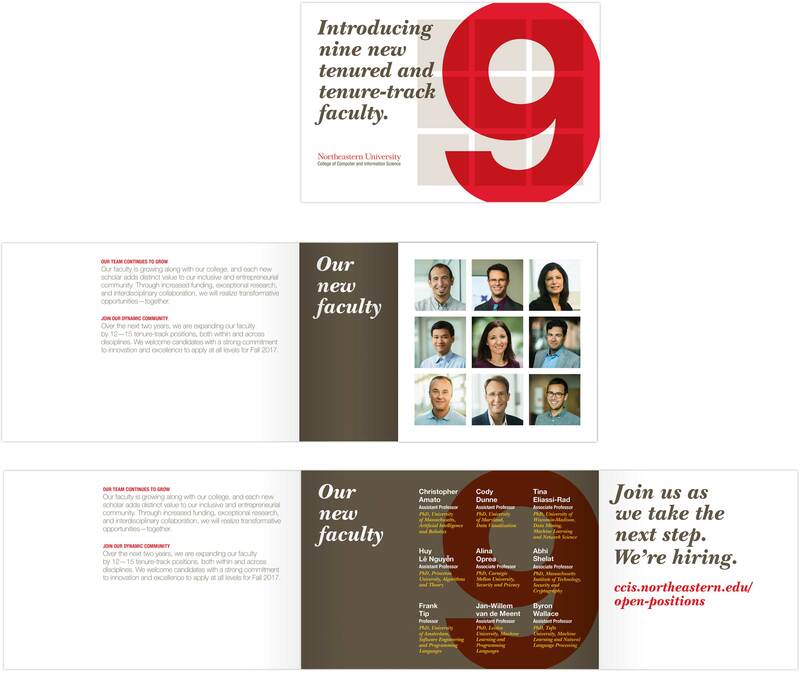 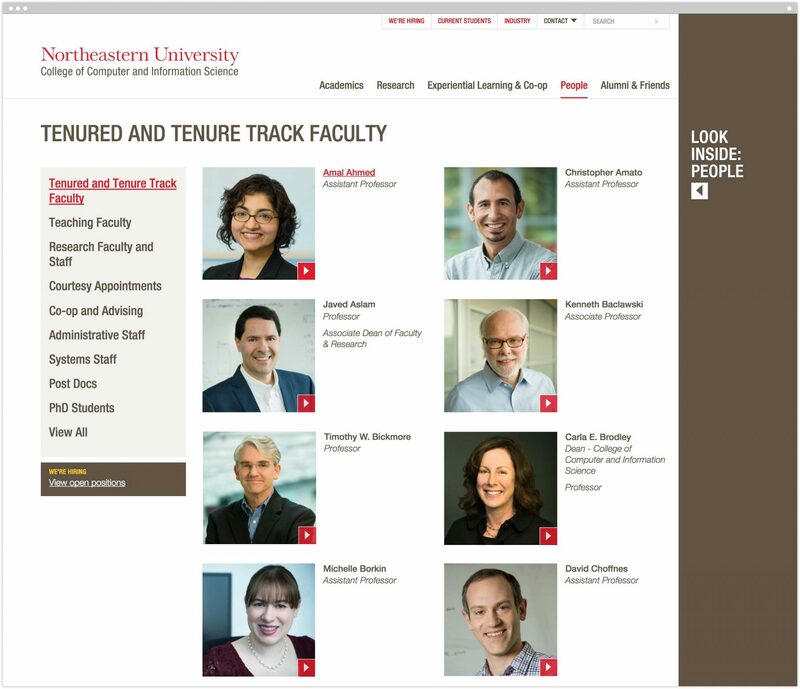 Faculty pages provide access to affiliated lab pages and projects as well—critically important in recruiting the best and brightest Masters and PhD students—as well as additional world class faculty. 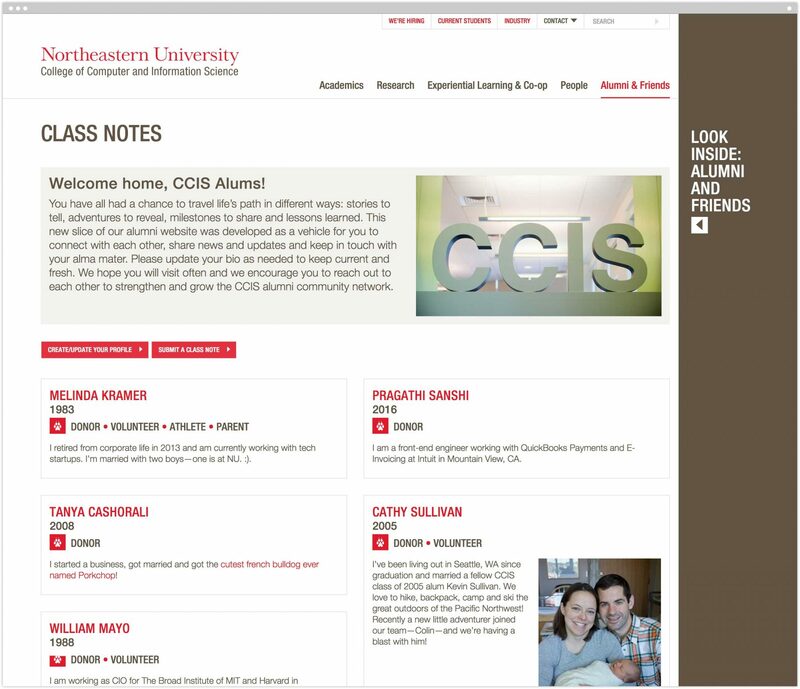 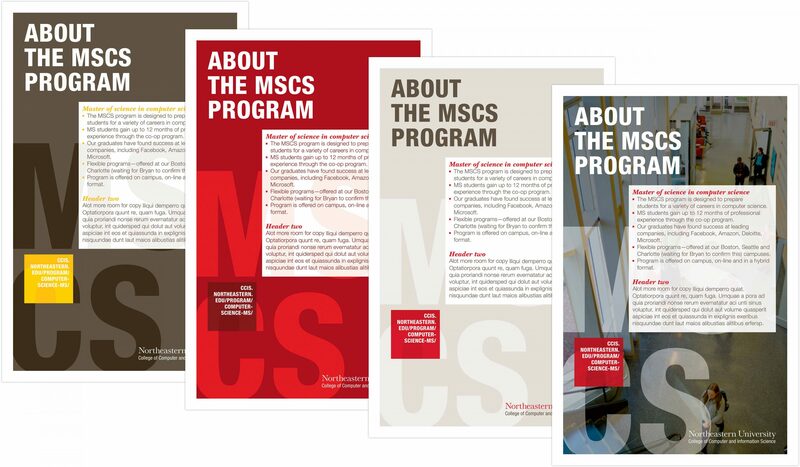 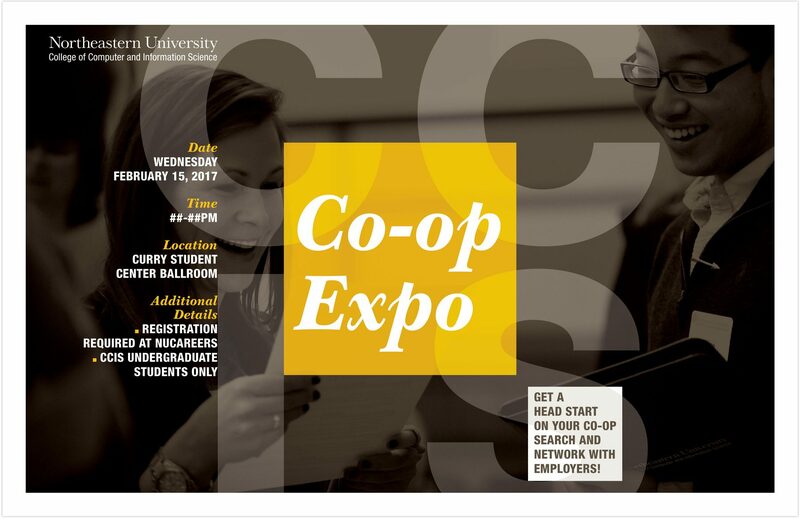 A complete suite of high-touch and on-demand print resources focused on graduate student and faculty recruitment, alumni relations development, and current cohort engagement, complement and reinforce the the college’s web presence. 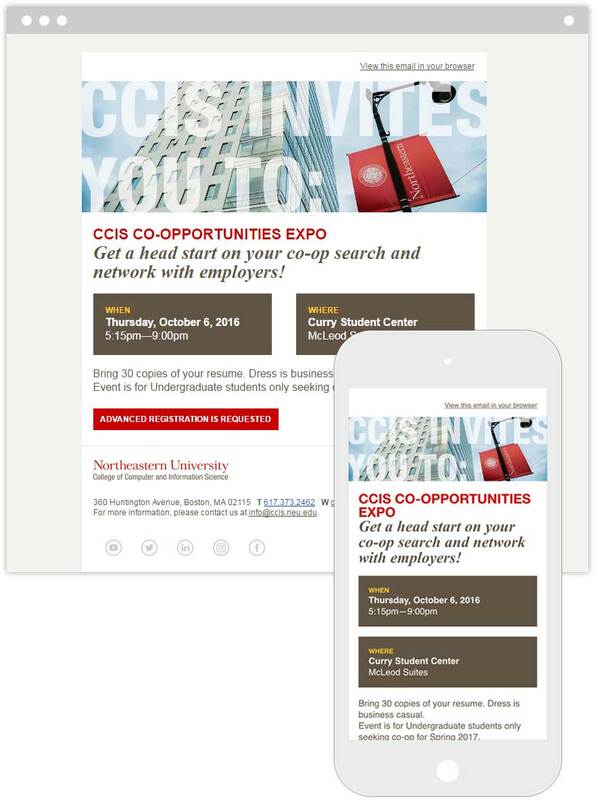 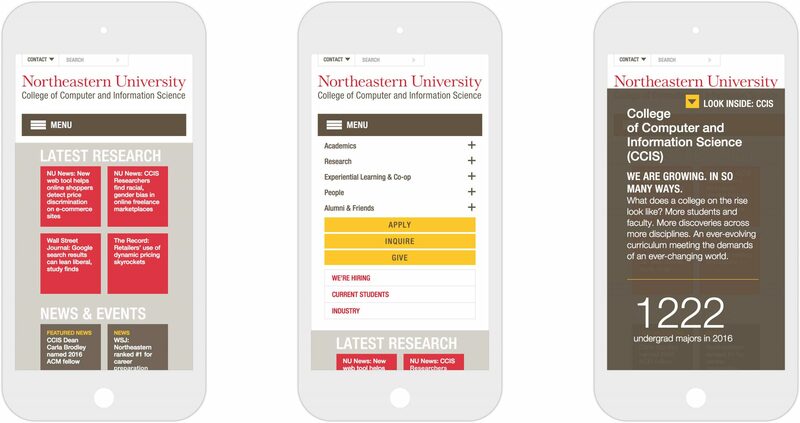 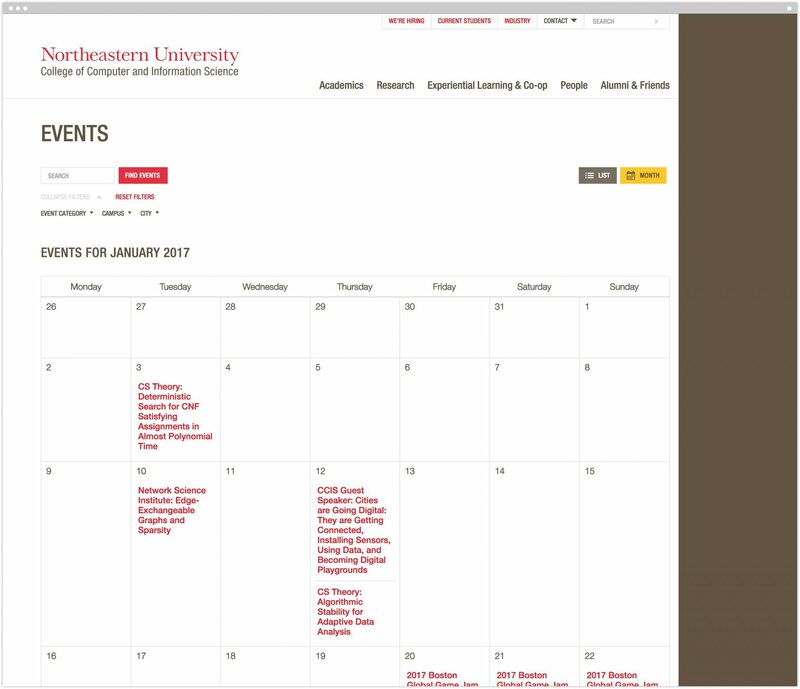 The results have been unanimously well-received across the College—as well as by the central Marketing / Communications group at Northeastern University. 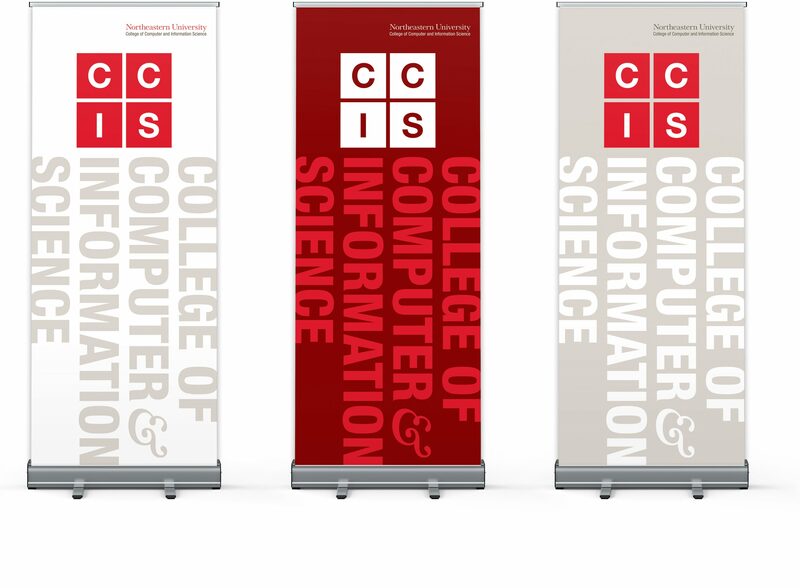 With our sights already set on phase 2 enhancements—including integrated lab and institute micro sites—as well as additional print communications and environmental graphics, we look forward to the opportunity to be part of CCIS’ continued growth and flourishing. 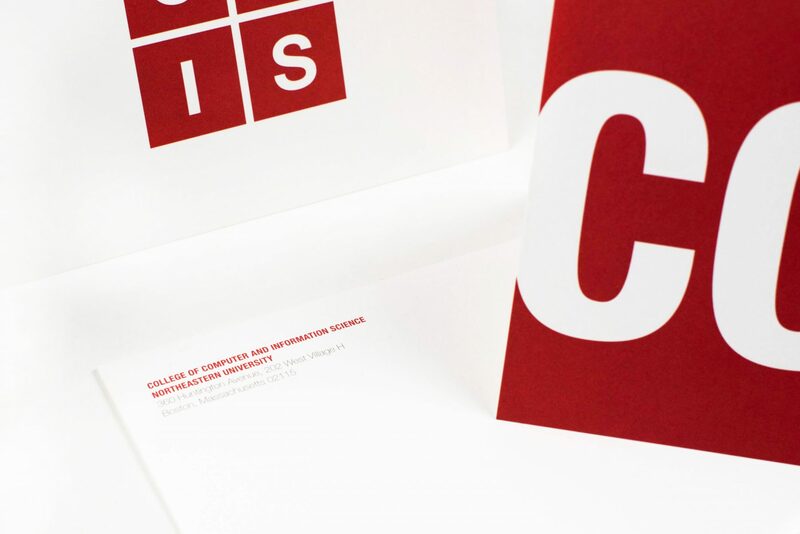 Defining our brand strategy and ensuring it carried through our digital presence, not just in the graphics and photos, but in the entire site experience was critical to making our project a success. 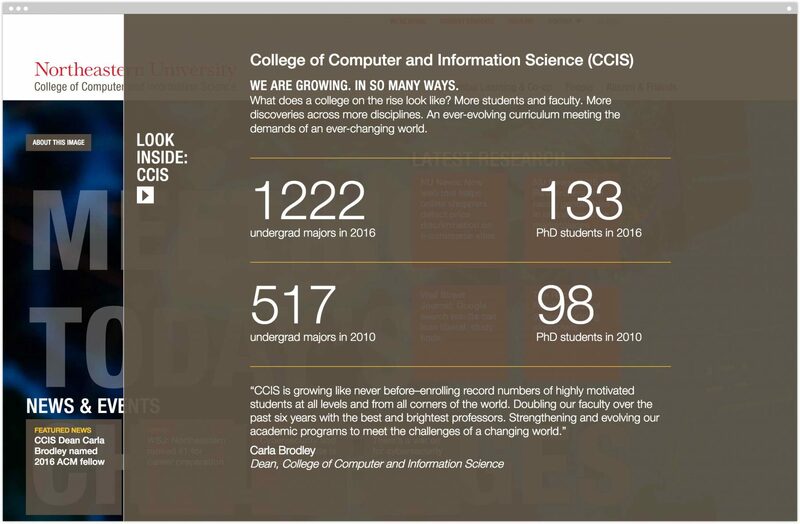 The environment at CCIS is one of the things that sets us apart from other Computer Science departments and colleges—our website needed to tell that story.